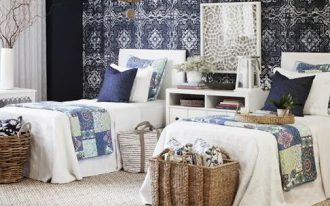 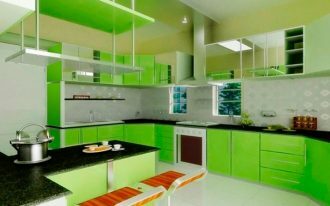 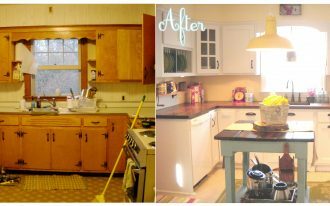 Talking about kitchen decoration, you sometimes might find some problems like finding it messy, unorganized and gloomy. 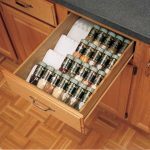 One thing that usually causes the problem is the spices storage. 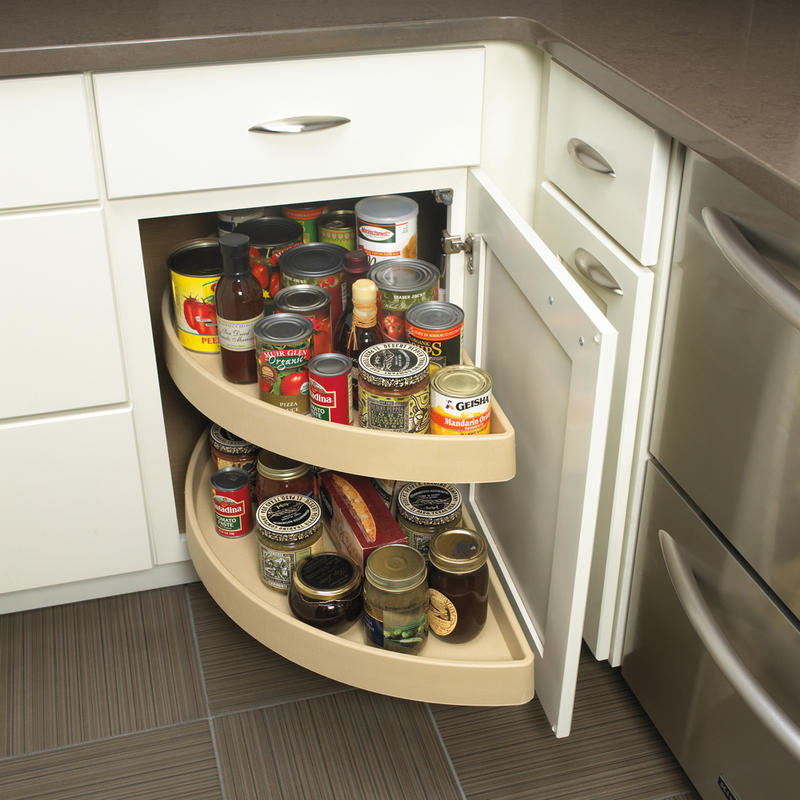 Once you put them many where, then it causes messy look to your kitchen. 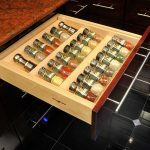 Therefore, there is nothing to do but to organize the spice first! 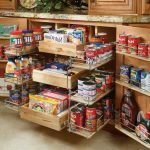 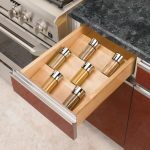 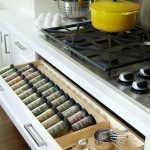 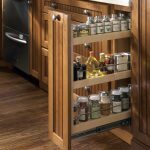 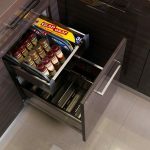 In drawer spice racks must be a good selection for you deserving nice and well organized kitchen! 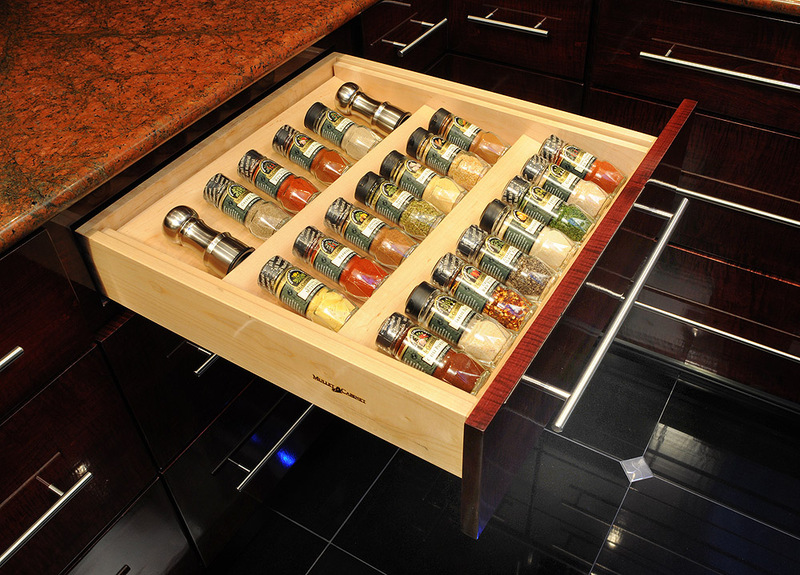 The first in drawer spice racks take place just after the black countertop of a kitchen cabinet with wooden material. 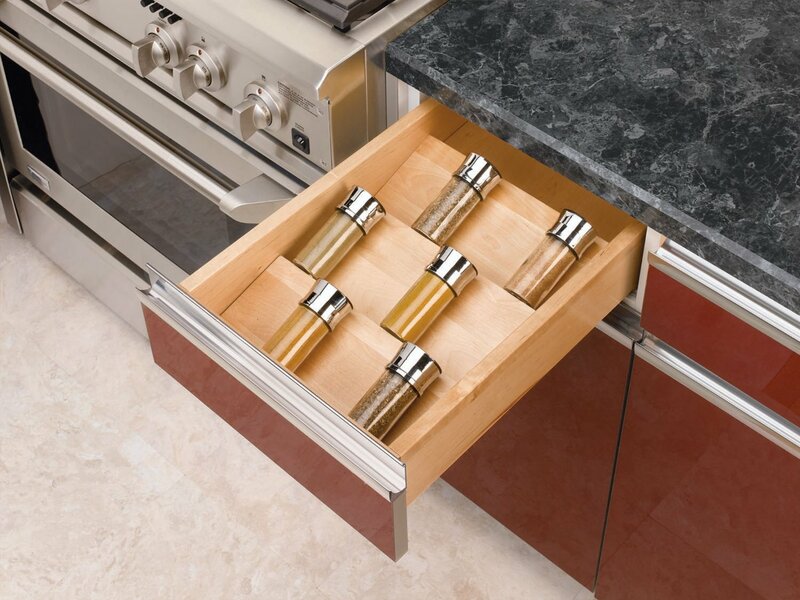 It is a simple drawer style with some ranges of spice slots inside. 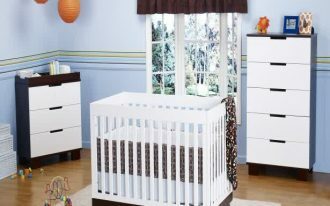 Beige tone is natural appeal that you can choose! 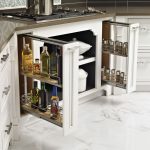 Quite similar to the previous design, the next one also sites beneath a black countertop of wooden kitchen cabinet. 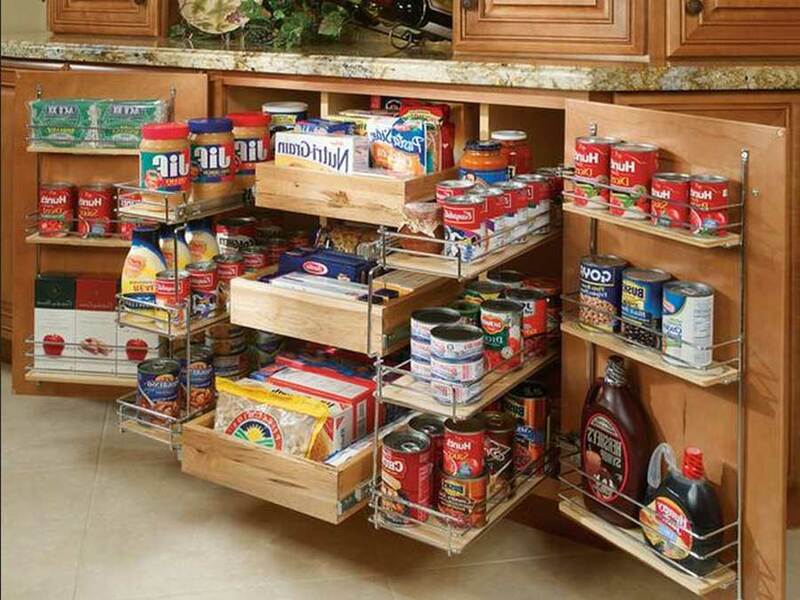 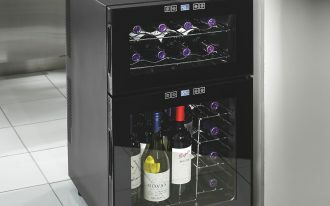 The thing differs is its smaller size and the racks inside. 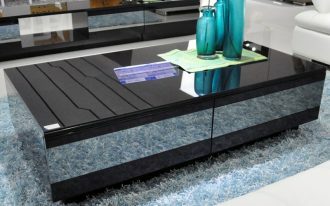 It is simpler with only six slots to go. 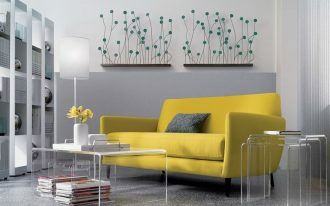 However, it is stylish! 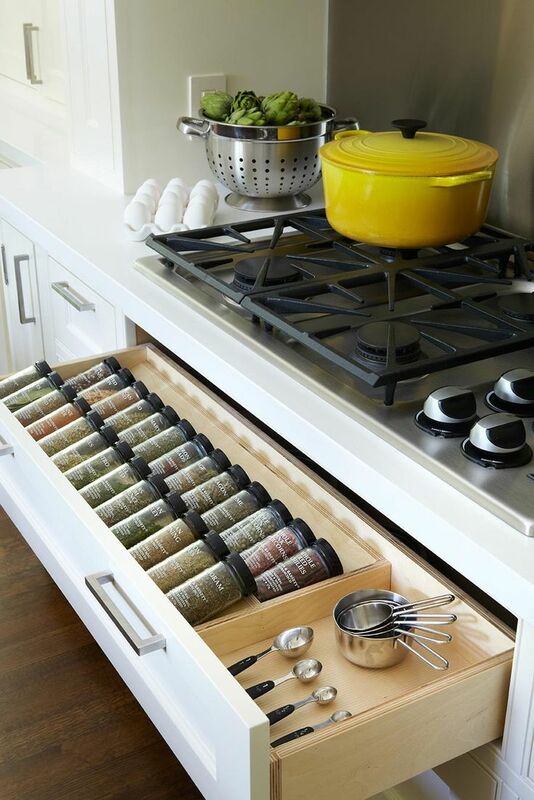 Further, a spacious kitchen design with white cabinet looks very great with pull out in drawers spice racks. 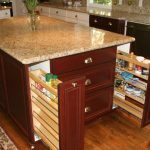 It is slim and fits the narrowest spot on the cabinet. 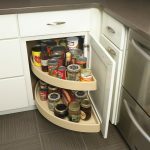 I can tell that the design is a space saver and also waste space saver! 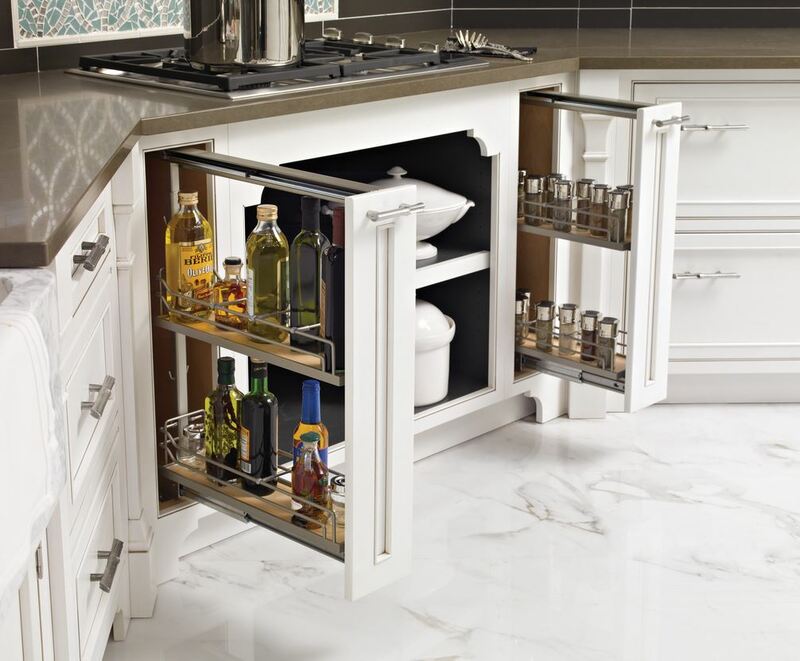 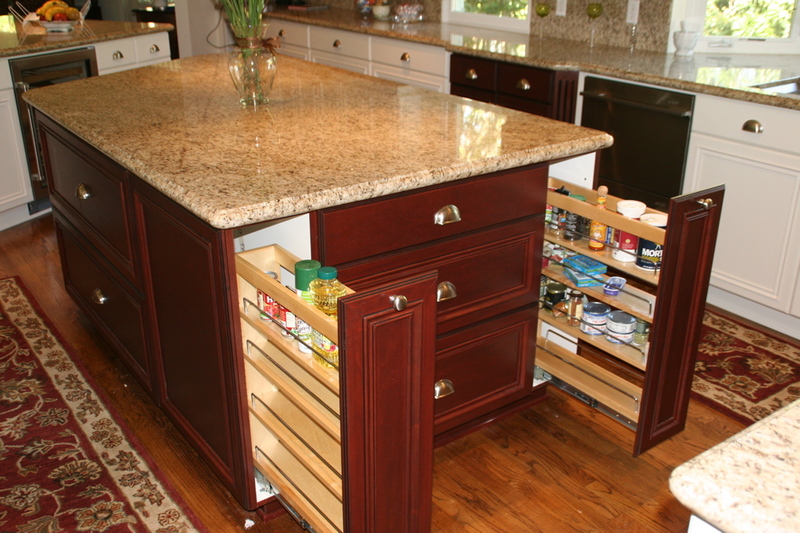 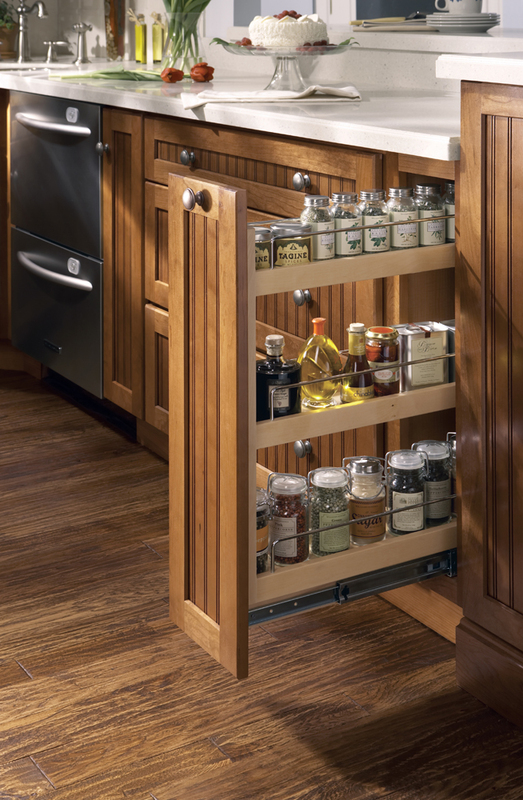 Aside taking place in a kitchen cabinet, in drawer spice racks in an island is also gorgeous! 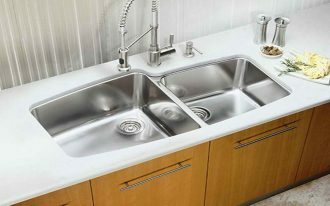 Again, it employs pull out style for simple and unique outlook! 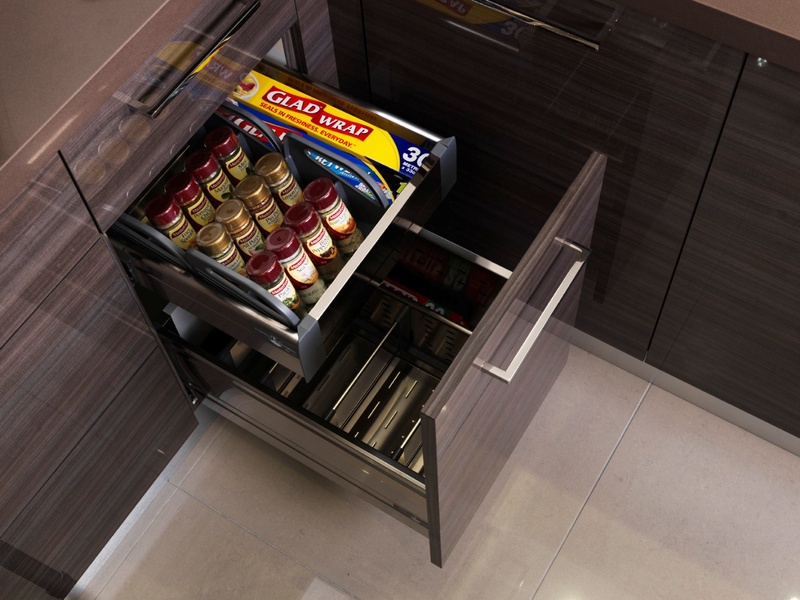 Meanwhile, a complex in drawer spice racks is the best design that suits you with your professional job as a cook. However, ordinary people are also suggested if you have plenty of spices that need to be organized!